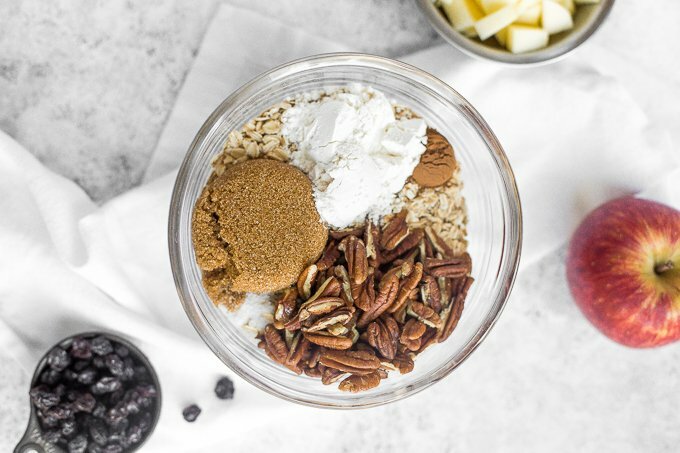 Make your mornings a little easier by prepping this delicious and easy cinnamon apple granola ahead of thyme time and I promise you’ll never buy store-bought again! This stuff literally tastes like apple pie in granola form…. I seriously don’t think anything can taste better!! 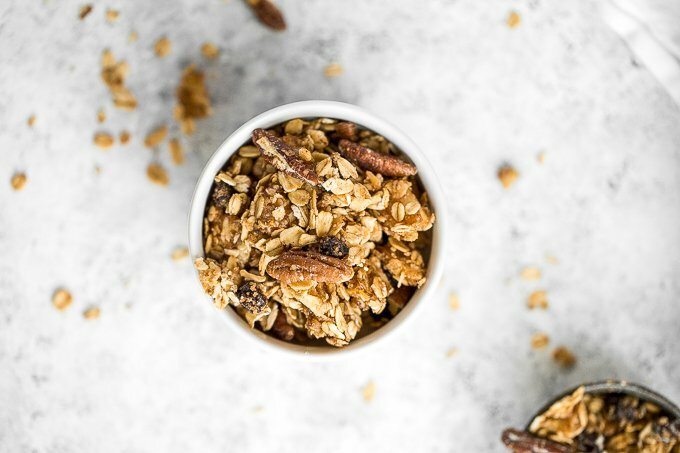 Nothing screams fall quite like cinnamon and apples — add in some crunchy pecans and chewy raisins and you’ll be putting this cinnamon apple granola on everything. I like to serve it on top of my favourite Greek yogurt, incorporate it into a yummy fruit parfait, or simply eat by the handful (kind of my favourite way to devour this!). This granola is also ah-mazing as a topping on vanilla ice cream! Trust me on this one. 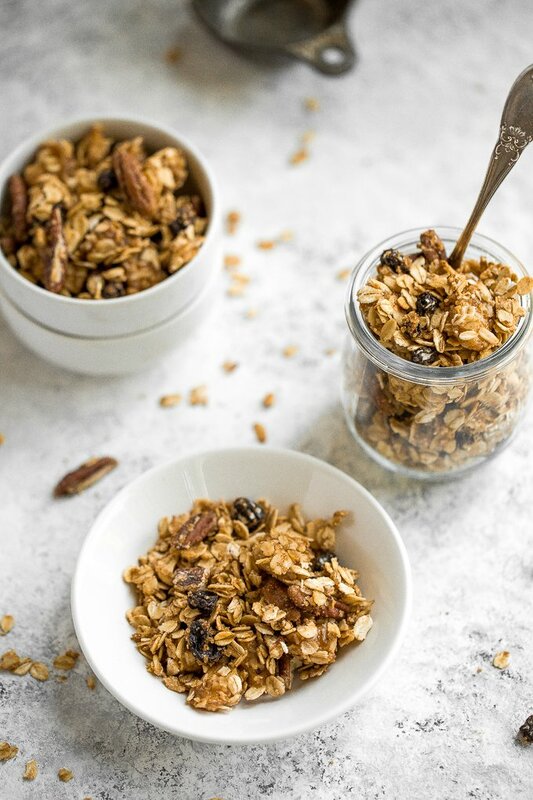 If you’ve never made your own granola, you’ll be amazed by how simple it really is. 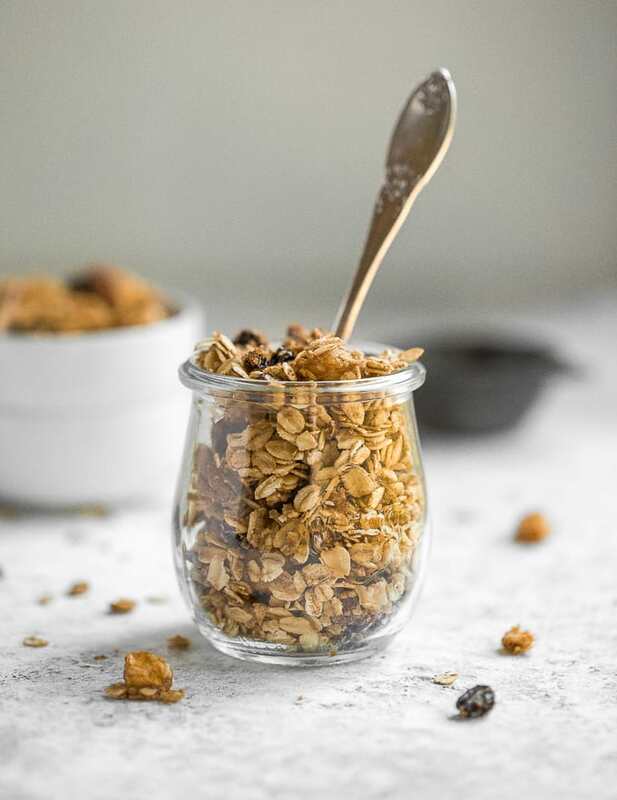 Take the 10 minutes needed to prepare this and enjoy this simple, flavourful homemade granola all week long…. or maybe all day long, depending how fast you get addicted to this stuff! 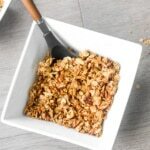 Make your mornings a little easier by prepping this delicious and easy cinnamon apple granola aka apple pie granola ahead of time and I promise you’ll never buy store-bought again! 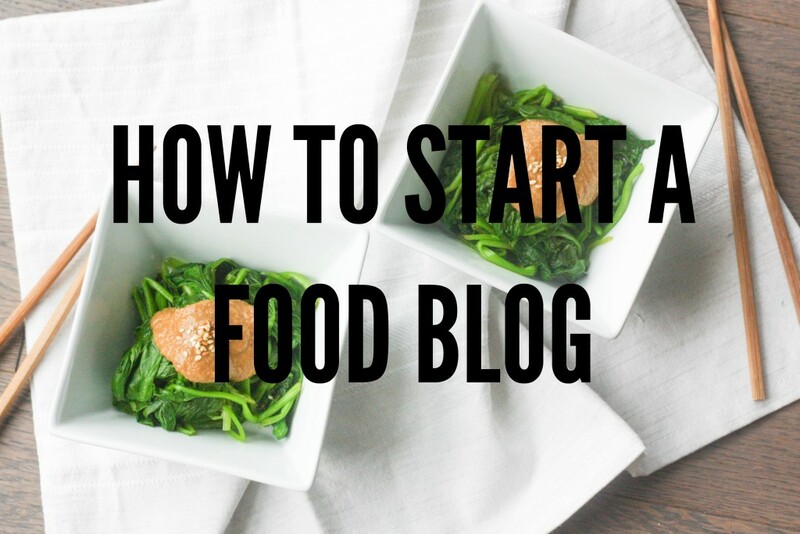 Combine all ingredients in a large bowl, then stir to thoroughly combine. Pour out onto a parchment lined baking sheet. Bake for 25 to 30 minutes, stirring once halfway. Re-spread the granola and put back in the oven. 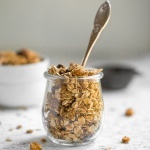 I love homemade granolas, cinnamon and apple granola perfect for autumn/fall mornings! My kids can finish off a bag of granola in a day, and store bought is so expensive! I’ll be making a double batch of this this week. I love homemade granola! This is a great snack or breakfast! I love giving granola as gifts to the family when I visit! They love homemade granola! I will save this recipe as I need to make my own granola soon. 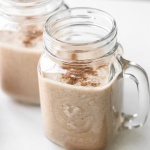 Looks lovely and great combination of pecan,apples. 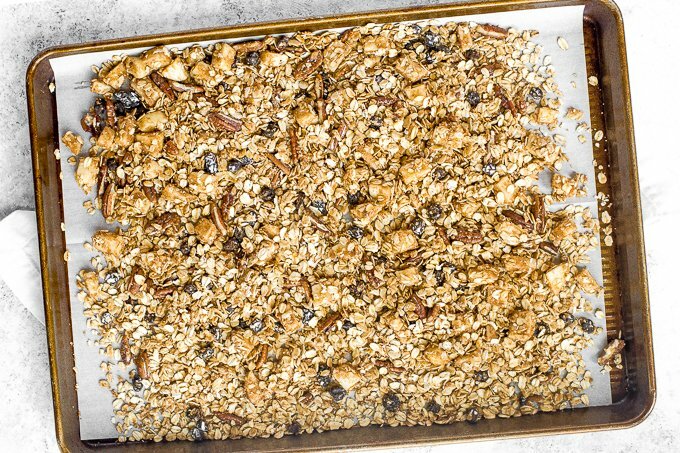 The flavors in this granola are so great for fall. 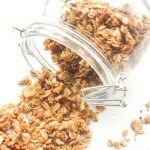 I love making my own granola too so need to give this one a try! 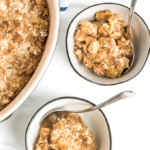 You had me at apple and cinnamon but with pecans in there. yes, please. This would be an absolute treat. 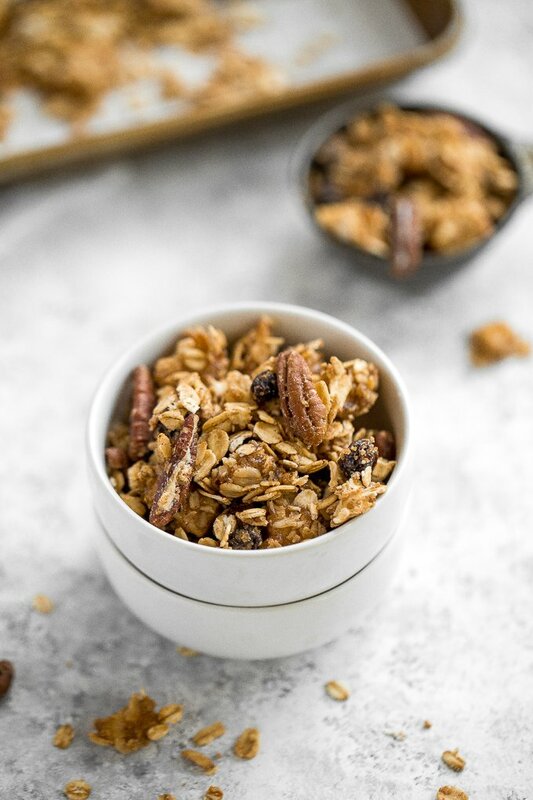 Love how simple homemade granola can be. Saving this for later. I SO want to make this this fall! It looks so yummy! Love that there’s apple in there!! I love granola and it’s a long time since I bought any! 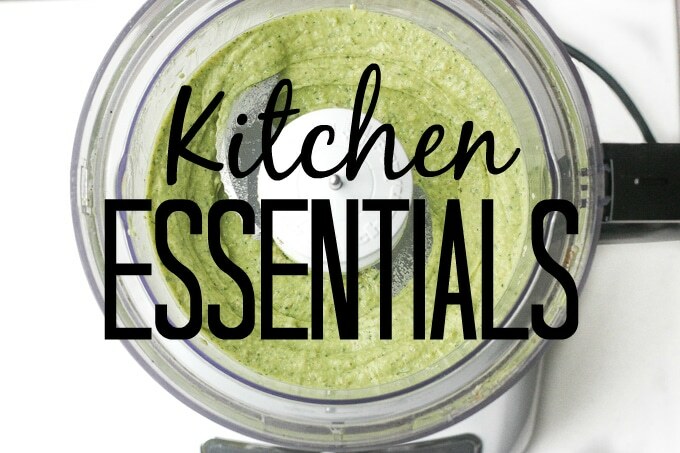 Your recipe sounds so tasty – definitely one to enjoy! First, I have to tell you I loved your word play at the beginning of your post. 😉 Secondly, this granola looks amazing! All these fabulous fall flavors coming together for a delicious breakfast or snack! Yum!